It might seem too early, but the news about the popular Soledad Golf Tour (on May 7th) are pushing us to open the registration lists earlier than ever. We expect it to be the most attended competition in Oliva Nova in the last few years, by offering the possibility of playing in two different shotgun starts. Morning competitors will tee off at 08:30am, while the afternoon tee off will be at 14:30pm. The price giving ceremony and the popular draw will take place after the results are complete. The Soledad Golf Tour is well known for the quantity and quality of the awards they give away, so much so that it is possibly the most popular in the Comunidad Valenciana. 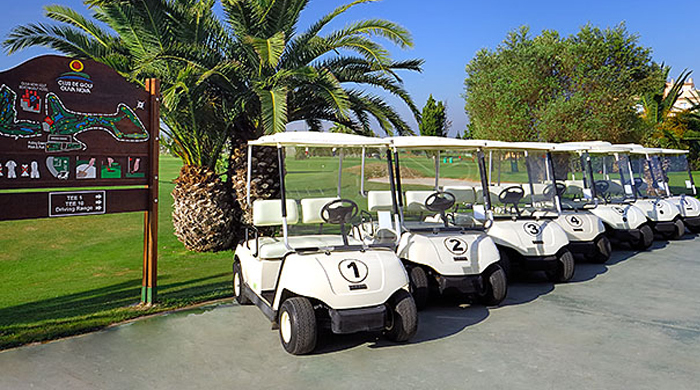 Adding to this fact are the excellent conditions of Oliva's golf course, so we recommend all those interested to complete their registration as soon as possible, in order to avoid waiting lists. You can use this link to speed up the process.